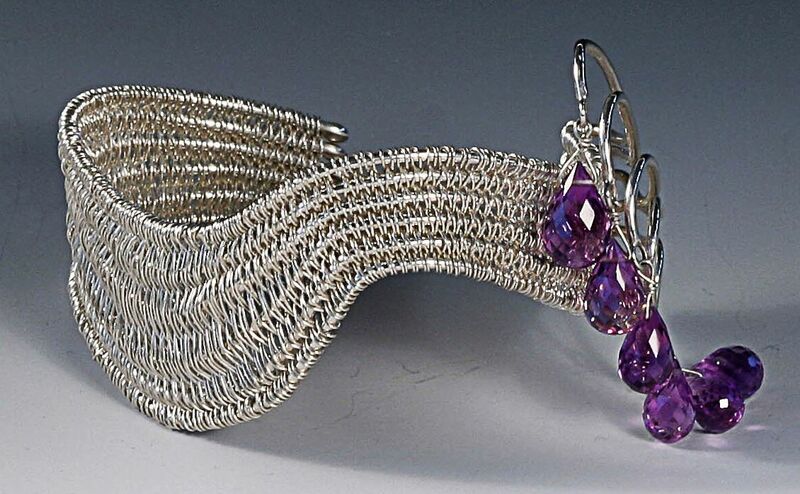 Twined in fine silver with a sterling warp, this cuff was designed for exhibit to show simultaneously during the Alexander Calder jewelry exhibit. Using Calder for inspiration, exhibiting artists were challenged to create both a piece of wire jewelry and wire sculpture for this 40 gallery event. 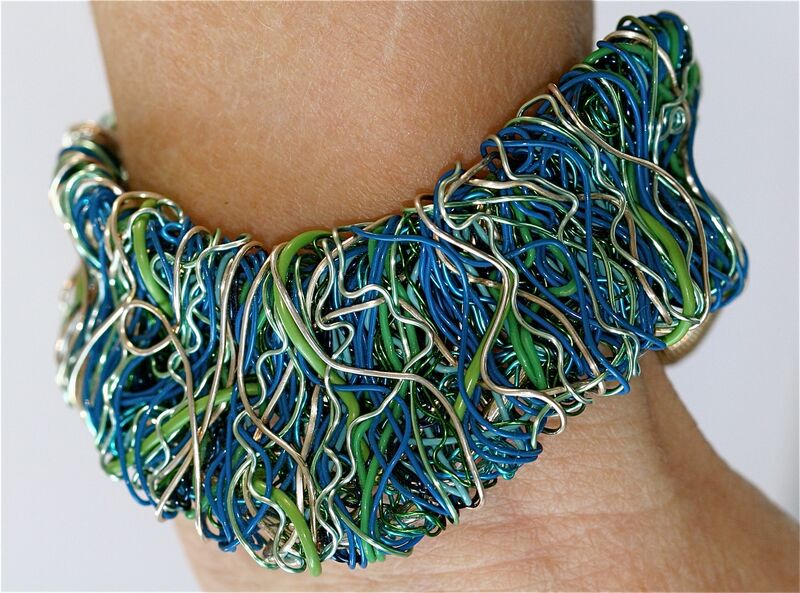 Built on a sturdy wire frame, "Wild Blue" cuff uses a diagonal wire sequence with multiple layers to assert her unique and bold appearance. 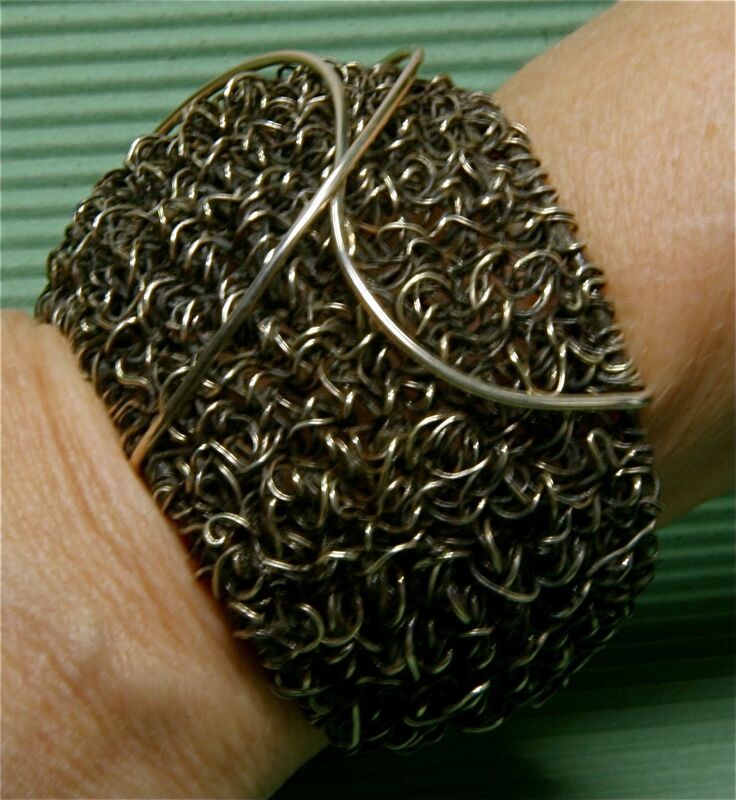 Highly textured with sharp contrast, Criss Cross Cuff was a successful experiment in both creating deep texture with the wire as well as emphasizing that texture with dramatic oxidation. 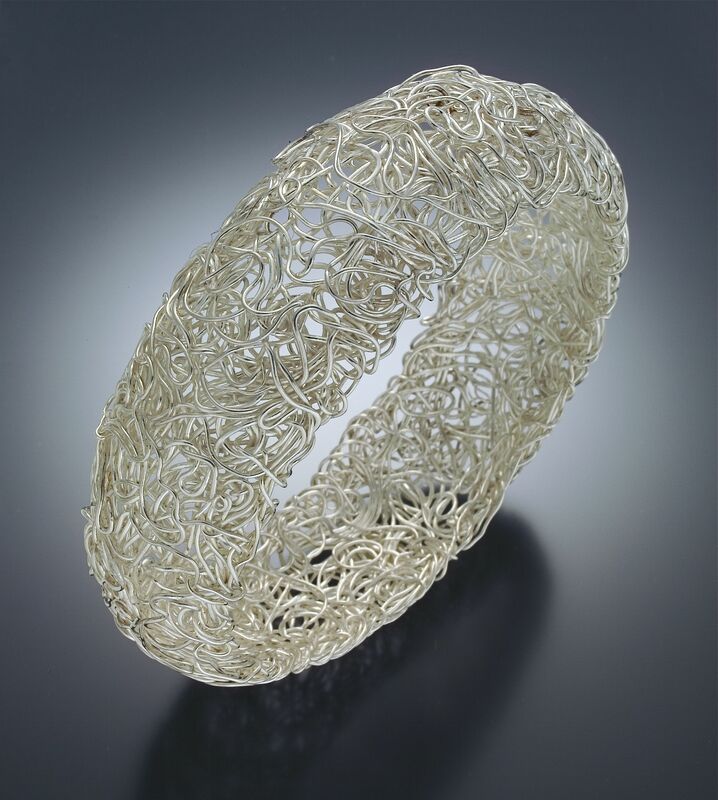 An experiment in stability, White Cuff was made with a single, continuous strand of fine silver with sterling wire threaded throughout for strength. 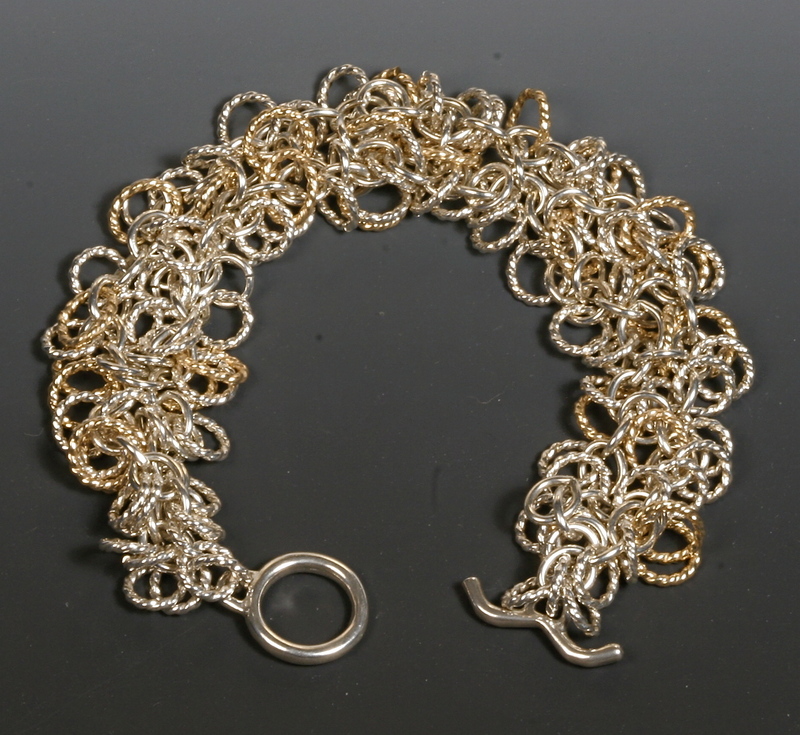 "Shag" is a highly textured, charm-like bracelet in sterling and gold filled wires. Adding to the beauty of wearing her, she jingles and jangles announcing her presence. Flame was inspired not by fire: instead it's inspiration came from flying over mountain tops and seeing the rugged mountain tips visually layered on top of one another. 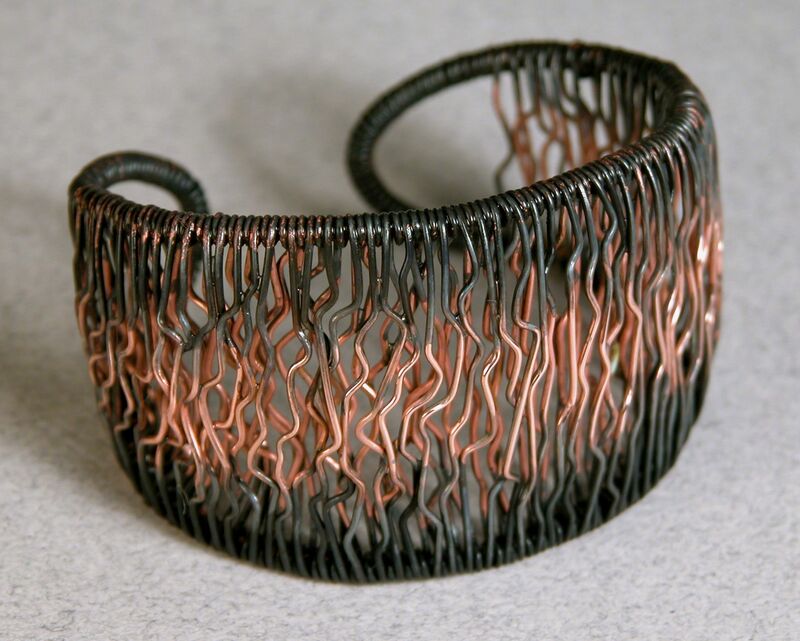 "Breaking Out" Cuff was part of an initial twining experiment where, indeed, the warp wires are broken out from their original tight grouping (in the back of the cuff) turned and bent into sinewy shapes. 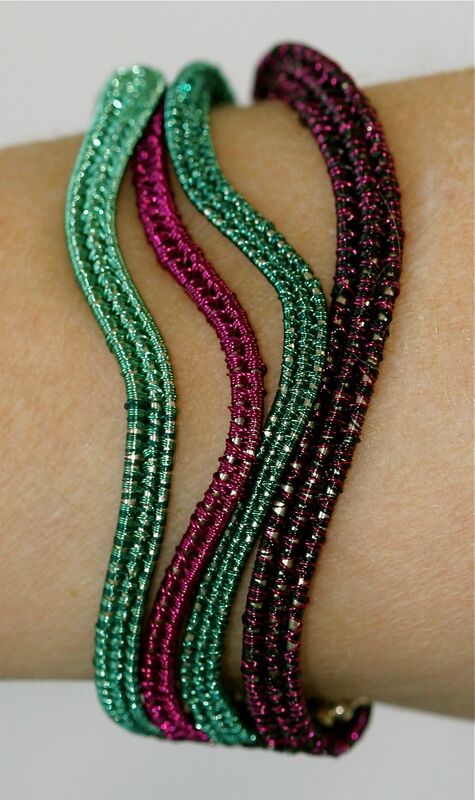 Made with sterling warp wires, hair-like copper coated enamel wire is twined on top and in between the sterling warp wires to enable the sterling wire to "twinkle" thru the weaving.